Retail is $220. Brush is in excellent condition. 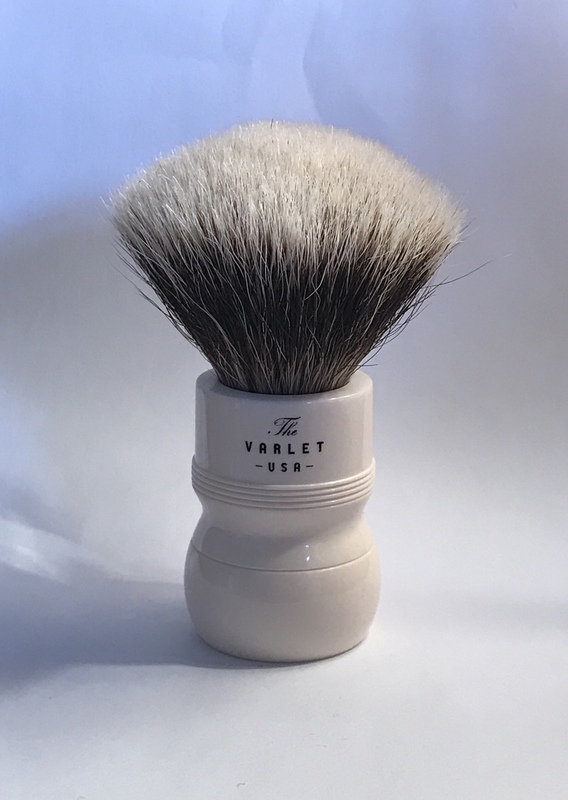 I haven’t seen a picture of a Varlet in some time. It’s a really good looking brush! What are the knot measures of the Varlet? Is it the original Ranger (24mm) or the revised version (25mm) with Alpine knot? 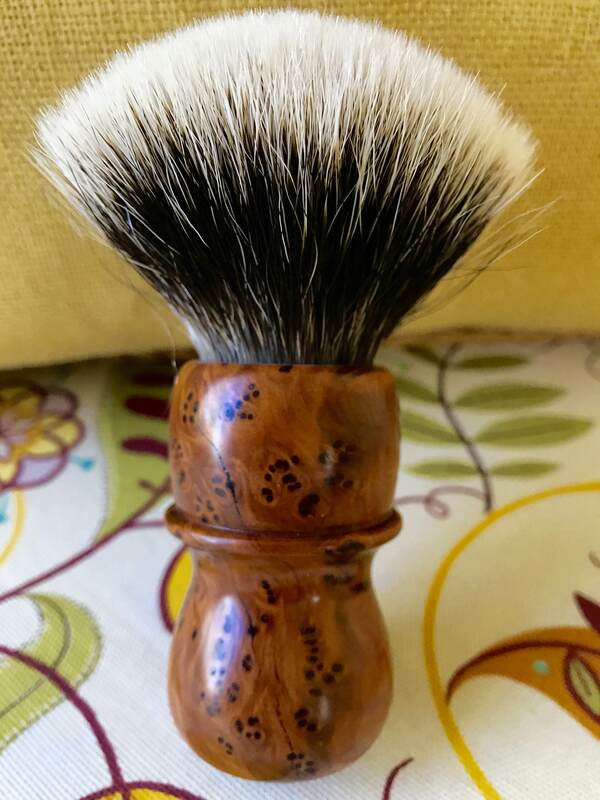 Declaration Brushworks B2 Jefferson knot in Bob Quinn handle below. Haha, I have a Mega and not room for two unfortunately. (03-13-2018, 02:27 AM)chazt Wrote: I haven’t seen a picture of a Varlet in some time. It’s a really good looking brush! Absolutely. Just not enough room for two unfortunately. (03-13-2018, 06:48 AM)German Wrote: What are the knot measures of the Varlet? Is it the original Ranger (24mm) or the revised version (25mm) with Alpine knot? I believe it’s original 24mm. Only interested in original declaration handles I’m afraid. Thanks for the offer though. (03-13-2018, 08:25 AM)Mikey J Wrote: Haha, I have a Mega and not room for two unfortunately.